A recent recall report from Stericycle Expert Solutions shows that Q2 of 2018 had the highest medical device recall count since 2005. The leading cause of recalls was software, while the biggest reason for recalled units was sterilization. What is causing this spike in recalls? In today’s growing healthcare industry, medical technology is expanding at an incredible rate. Amidst this growth in innovation, patient safety and positive outcomes must remain the center of attention in all aspects of the industry. While the objective of new medical technology is to decrease financial burden, increase device quality, and create better patient outcomes, the onus is on the new product introduction process to ensure patient safety before a product can be purchased for use. Hospitals and physicians are trusted by their patients to have their best interest in mind; thus, it is the hospital’s duty to confirm the safety of a medical device. To do this, hospitals may utilize the FDA MAUDE database and FDA Recall database. The FDA MAUDE database lists adverse events in which a device was involved. The events include deaths, injuries, malfunctions, or other abnormal happenings. By comparing the frequency and quantity of individual events, a hospital may assess the ongoing risk of a device. 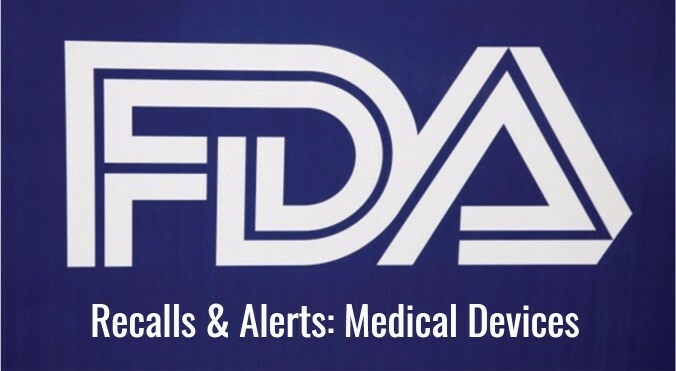 The FDA Recall database shows current and past recalls on all medical devices, and the hospital may use this database to reference Class I, II, or III severity. Class I – a situation in which there is a reasonable probability that the use of, or exposure to, a violative product will cause serious adverse health consequences or death. Class II – a situation in which use of, or exposure to, a violative product may cause temporary or medically reversible adverse health consequences or where the probability of serious adverse health consequences is remote. Class III – a situation in which use of, or exposure to, a violative product is not likely to cause adverse health consequences. To ensure the safety of a device, the Hospital Value Analysis or Hospital New Product Committee may use the information from both sources, FDA MAUDE and FDA Recall, to determine the risk associated with the device, and the likelihood that the device will harm a patient. The decision-making committee typically represents a continued defense for patients, identifying risk in products seeking approval. The patient’s safety and care ultimately rest on the hospital’s shoulder, and the committee has a duty to put the patient first above all else.